Come and discover one of the most fascinating French towns classified a “City of Art and History” and home to one of Europe’s largest collection of 18th Century architecture. 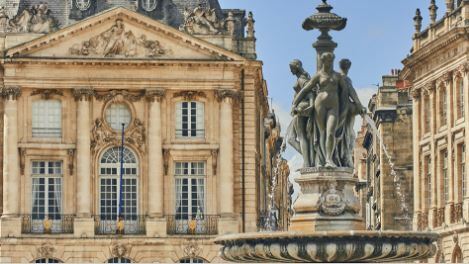 From the “Place de la Bourse” the architecture, sculptured décor and water mirror bring out a sense of unity that celebrates the tight union between the city and its river. Discover big-ticket attractions such as the neoclassical Grand Theatre or Saint-André Cathedral. Your tour guide can be flexible on the itinerary but will definitely include the most famous landmarks.